You wonder what the deal with Roll20 and VTTs in general? Here is the scoop. Roll20 is oriented towards in-person gaming over the internet. However the fact it is a internet application means you can play with anybody in the world whose schedule matches yours. A piece of software capable of displaying and interacting with images. In the case of Roll20, the whiteboard comes into play when you create a campaign. At the top of the screen is a little blue icon that pulls open the pages toolbar. A campaign can have multiple pages each setup with their own thing. A page has a map layer, a token layer, a gm layer (not visible to the players), and Dynamic Lighting layer (if you have a subscription). The map layer is fixed and anything placed on there can't be be moved except by the GM if he switches to that layer. Everybody sees the map layer. The token layer is used for stuff that the GM and players move regularly mostly character and NPCs miniatures. The GM layer is visible only to the GM and usually used to store stuff like random encounters and hidden characters. Dynamic Lighting is a special layer that is optional and is used to setup a map for use with the Dynamic lighting feature of Roll20. A page also has fog of war where the entire map will be blanked out except for the areas revealed by the GM. The reveal process works just like drawing squares and shapes on a paint program. For referee who don't want to use miniatures the pages act like a sheet of paper. To the side of the page is a tool bar which has chat. Any thing you type can be seen by the other participants including dice rolls. There are options for hidden whispers and hidden rolls. The setting of the campaign can be enabled for VOIP. It OK most people wind up using Google Hangouts, Teamspeak, or Skype as they have a superior set of features and often superior voice quality. Note the dice rolling of Roll20 is handled by Roll20 subscribing to a source of random noise generated by quantum fluctuations. Apparently for scientists who need a true random number generator this is a service they can buy. It has obvious applications for roleplaying games. The Campaign homepage also serves as a discussion forum for that campaign. Used either for updates or for campaigns that are primarily play by post. As I understand it play by post players will jump into the campaign chat and roll the dice there noted which post the roll is for. To the right of the pages is a toolbar with icons for chat, art (for the GM), Journal, Compendium, JukeBox, Decks and Tables, and Settings. Art is a search utility for tokens, maps, and images. 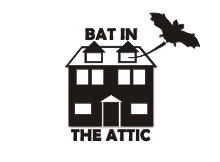 Roll20 has a webstore with images and tokens for sale. But this will also search the internet for any free resources. You selected it can make it part of a Journal entry or a page. Journal are notes and character sheets. A note can be text, art, or both. They can be shown to everybody, kept hidden so only the GM can see, or just shown to one player or a limited group. Character Sheets depends on what game is selected. There is a generic version that can be used for any game and a specific version that can be selected in the campaign options. If you have a subscription to Roll20 and are savvy in designing web pages you also get the option of creating your own character sheet. Character Sheets are mostly fill in the blank forms however an increasing number feature automation of various rolls. For example in the D&D 5e character sheet clicking the attack button next to a weapon will make an attack roll with all the relevant modifiers applied. The Compendium displays the SRDs for various RPGs under an open license. Notably Pathfinder, D&D 5e, and I think Fate. It just a hyperlinked document that has the published rules for easy reference. The Jukebox is a list of free sound and music you can play during the game. For example if you want a wolf howl you can search for it and get a dozen possibilities. You can do this before the game and save your favorite for quick reference. Decks and Tables allow you to enter random decks or tables. Decks have X choices and when you make a roll you pull the result from the deck (just like a card). It remains out until you reset the deck. Random table works like most random table generators on the internet. Has a list of choices with various odds, makes a random roll, and displays the result. By combining a Whiteboard, Chat/VOIP, Forum, RPG Utility, Roll20 allows you play tabletop RPG with all the same tools and techniques you use for face to face game. It downside is the same for all social interactions over the internet. The lack of face to face contact makes it impersonal and cold for some. The upside is that it has some tools, like fog of war, that are way easier to use compared a face to face session. People can and do freely switch between using Roll20 and playing face to face with the same campaign. It that compatible is nothing like a MMORPG like World of Warcraft. Roll20 is part of a general class of software called Virtual Tabletop. Fantasy Grounds is it's main competitor. Fantasy Ground is stronger in its the RPG Utility feature however it is a standalone program that requires a license from all participants or a pricey Ultimate license paid by the GM. It is available on Steam for those who use that service. It also require minimal knowledge of how your internet router works as you will need to open up a port to allow it function as a server to host your game. Note that there are other VTTs like VASSAL (open source and free) and Aide-de-camp that are oriented towards board/war games. There is also Tabletop Simulator on Steam which uses a 3D engine to setup a virtual table with pieces you manipulate. For example if you played Axis and Allies with VASSAL you would be moving icons around. With Tabletop Simulator you would see a table with the board with models of the same pieces as the physical board game. You would move the models around just like you would normally Dice rolling involves rolling models of dice. Oh and you get to throw the table if you lose. Personally it neat for board games. For RPGs I like Roll20/Fantasy Grounds better. It does have a nice Dwarven Forge style setup for RPG so if you are into miniature it may work out better than the image/icon approach of the VTTs. Inspired by White Star I been fooling around with making a science-fiction campaign based on my own original setting. The following is the basic premise of the setting. Now man has outgrown his cradle and traveled into the black, wondering who and what scattered the seeds of Earth throughout the cosmos. Mankind is forging a new life among the stars but old fears and conflicts still threaten. The year is 2525 and this is their universe, the Majestic Stars. 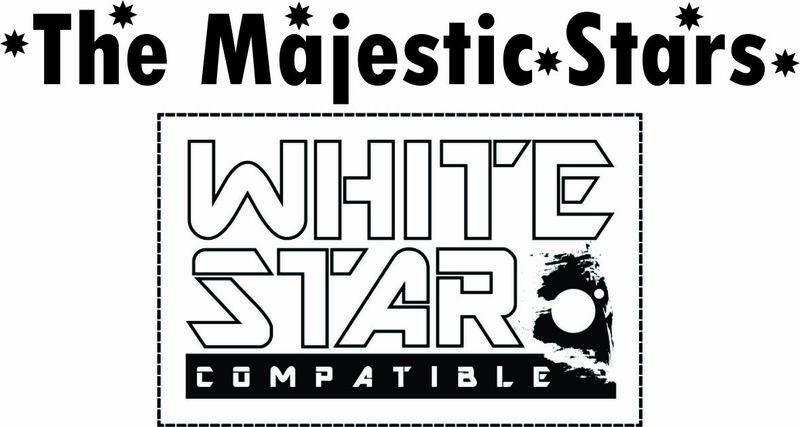 While White Star caters to the Space Opera genre, I am leaning more towards Indiana Jones style pulp. One reason for this is my love of Babylon 5 which has a plot thread involving ancient civilizations and archaeology running through the show's run and its show lived sequel Crusade. A major focus of the campaign will be exploring ancient ruins left by the Ancient Saurians. Another focus is the idea of the Astroguard. The Astroguard is a combination space coast guard, anti-piracy patrol, exploration corp, and rescue and aid service. It is a multi-national organization sponsored by the major powers and smaller nations of human space. It is organized as a military but more in the traditions of the United States Coast Guard and Army Corp of Engineers rather than Army, Navy, Marines or Air Force. For example it has warship but nothing larger than a cruiser. You could look at it similar to Star Trek's Star Fleet but without it's bigger ships and without being the official military arm of the Federation. Whether the campaign will be about PC being members of the Astroguard will be up to them. I think it will work as part of the campaign whether only one or two PCs are Astroguards or even none of them. The Astroguard will definitely be one of the "good" guys of the setting. Another thing I will is the fact that humanity just has made contact with an advanced intersteller culture that is comparable in power to all of human space. The alien race that dominates this cultures is descended from the dinosaurs but are not the same race as the Ancient Saurians. To confuse matters these guys are also named Saurians as well. The wrinkle is that while humanity made first contact 50 years ago with the Saurians it was a dissident faction of their culture. Apparently the vast majority of Saurians are united into a single empire under the rule of an undying Third Emperor. The group that humanity made contact with call themselves the Commonwealth and are comprised of dissidents, refugees, and exiles who fled into deep space to escape the Empire. And in recent years thanks to the information learned the Commonwealth Saurians, anthropologists and researchers into Saurian culture realize that the Empire shared many characteristics with the personality cult that dominated Nazi Germany under Hitler and the Soviet Union under Stalin. So yeah, I got dinosaur space Nazis, top that Spielberg and Lucas. As for humanity, it is political fragmented, mostly because in the future history I developed Earth was kicked into a new ice age by a Tambora II explosion in Indonesia around 2200. After a few hiccups and wars this ignited a interstellar diaspora that spread human colonies and settlement across a 100 light year sphere. As result while Earth is the most populated human planet it only in the last century has Earth bound civilization has recovered and stabilized. There are still some major powers like the United States, the United Kingdom, the Chinese People's Republic, And the Union dominated by French and German colonies. However all of these now are largely based off-world. with only a token presence on Earth. Earth itself still politically divided and is dominated by South America, India, and South China. One thing I am playing around is the idea that humanity is now dominated by a post-scarcity economy. That 3D manufacturing technology has made the use of Fabricators ubiquitous along with CHON Ovens for creating food staples. This is allows nearly every household act as a farm and factory for their basic needs. But... of course there is a but. The result isn't an utopia. Yes definitely better materially than our current situation however society is still stratified. Status in the 26th century mainly revolves around those who can get people organized and motivated for particular projects. In many ways, it doesn't appear much different than how we do things in the 21st century. Money still exists for example. People still have jobs. However with the existence of Fabricators and CHON Ovens, anybody can walk away at any time. The main that keeps people at their job is that it is either interesting or that they work with people they consider interesting. One reason I am doing this is that I feel it makes the idea of a pure adventuring party plausible. A group of folks use their connection to procure a starship, work together to keep it operating, and go out exploring and getting into trouble. The adventuring party still want to earn credits because I am sure they will want to do things beyond sitting around all day in their starship, eating meals prepared from ingredients from their CHON Oven. Another thing I am doing is that this technology has led to humanity to be extremely diverse. There are probably ten billion humans spread out among hundreds of worlds in a 100 light year radius of Earth. Humanity hasn't reach the limits of influence of the Ancient Saurians so new worlds terraformed by them are still being found by the Astroguard. One result of this is just about every form of government or culture from Earth has a settlement somewhere. As weird as it sounds there are some with totalitarian government started because that how the settlers wanted to live along with various utopian and religious communities. The point is to have these little weird pockets of civilization scattered about for the PCs to encounter and deal with. Right now I am working on a specific location to base the campaign round. I thinking of borrowing a bit from Babylon 5 and Deep Space Nine and having the "town" of the campaign be the Artemis Space Station. The Artemis Station is run by the Astroguard and is located near the edge of Saurian Commonwealth space in a sector that noted for it numerous ancient ruins. I am still working on the details and will share them in another design notes post. Releasing my first D&D 5e product for free! A couple of weeks ago Wizard of the Coast has graciously released a system reference document for DnD 5th edition. I been busy with mapping projects but I did have something that was more or less finished. So I took the time and polished it up for release. When I go to conventions, I like the players to roll up their characters. Because time is precious, I evolved a way to do this quickly. One thing I did was to create crib sheets that distilled the character creation rules into a minimal format. A quirk of my convention games that I have the players roll for starting level, a trick I swiped from +Jeff Rients Under Xyaltaren's Tower module. This results in mixed parties of characters ranging from 1st to 6th level. One implication of this is that if you are lucky enough to have rolled a 5th or 6th level character you can start with a magic item! So without further ado, I present Basic Character Classes Level 1st to 6th. This should help out +Erik Tenkar get up to speed on learning DnD 5e as well. The product is designed so that you can print it as a booklet and everything you need to create a character in there. 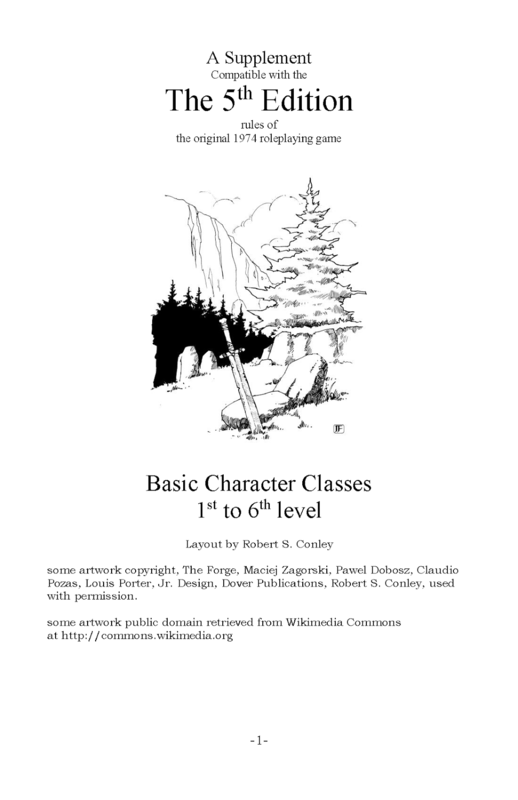 The character class description is design as a bullet list. Once you know your level you just start at the top and work your way down recording everything up to and including your level. By spring, I hope to release a full version covering all the SRD classes along with a version based off of my Majestic Wilderlands rules and Swords and Wizardry. Aaron Allston was a noted RPG authors in the 90s who a number of good RPG supplements for various games. Sadly he passed away in 2014 in his 50s from heart failure. 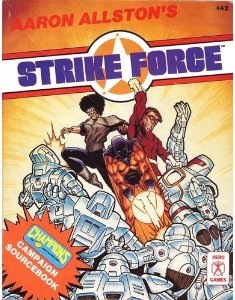 Strike Force for Champions is considered one of his best supplement but more than that is considered one of the best campaigns supplements for any game. 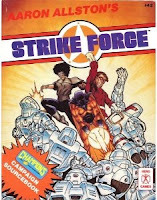 It is a well written account of the details of his Strike Force campaign and more importantly delves into the nuts and bolts of how he ran that campaign including the reasons why. While much of is about the nuts and bolts of a superhero campaign, many of the insights he provides work for any type of campaign. Luckily for us, his legacy is not finished. A group of friends is working to finish his manuscript for an updated Strike Force and now have just launched a kickstarter. I am personally interested in this as the original was very good and that was just from a few years of running his campaign. I can't wait to see what insights he gleaned from the intervening years. It is my view that no mechanics can simulate human interaction. Even today with thousands of hours and millions of dollars the best that science been able to produce are a few clever simulations of human interaction that work very well for specific circumstances. For example Siri on Apple iOS devices. One of the strengths of tabletop RPGs is having the human referee to adjudicate the actions of the characters as they interact with the setting. You do have to have some type of mechanics because we have players with characters that have skills and attributes better than their own personal skills. In my experience, it is easier to come up with mechanics to deal with attribute that deal with physical interactions like strength, dexterity, and constitution. And it is harder to deal with the mental/social ones like intelligence, wisdom, and charisma. My technique is based around this concept; while the player may not be as mentally/social adept as his character, as the human referee, I have complete control over how the setting/NPCs respond to him. So in the absence of a compelling reason, I will act as if he was the smartest or most socially adept person in the room if his attribute/skill warrants it. A compelling reason for me means that the player has totally misread the situation to the point that he is not just way out in left field but not even in the ballpark. What I use to decide how my roleplaying plays out are the circumstances of the encounter, the result of a skill/attribute check, and my notes on the NPCs involved. For example if a 1 or critical failure is rolled on a check, I will roleplay it as if it is a disastrous social encounter. If a natural 20 or critical success is rolled, I will make it work out even if the player is out of the ballpark in how he handling the situation. The downside of course these are all highly subjective criteria that benefit enormously from personal experience. Both from life and time spent refereeing campaigns. This can make it daunting for a young referee just starting out in tabletop. Hence the appeal of social mechanics as an aide. I would tell the young or new referees is to rely heavily on the stereotypes that they know already. To sit down prior to the campaign and make a one or two page list of notes on the different types of NPCs and how they would act when roleplaying them. Use that as your starting point. Eventually as you grow older and gain more experience, you will develop a greater range in how your NPCs act. I think most RPGs, even detailed ones like GURPS, would benefit from more advice and less rules when it comes to social interactions. I will say for GURPS, I do like their reaction tables. While I think as a rule mechanic they are so-so, I do think they are good lists of possible outcomes for specific social situations ordered from worst to best. When I hear that a RPG, say DnD, is lacking in social mechanics I view it as being short sighted. The one of the rules that ALL RPGs share is the fact that the game has human referees adjudicating the actions of the characters as they interact with the setting. As all social mechanics are inadequate to simulating human behavior, the need for a human referee handle social interactions for D&D is no different than any other RPG.